Bright and spacious 5 bedroom, 2.5 bathroom family home in sought after community with a playground, clubhouse and pool. 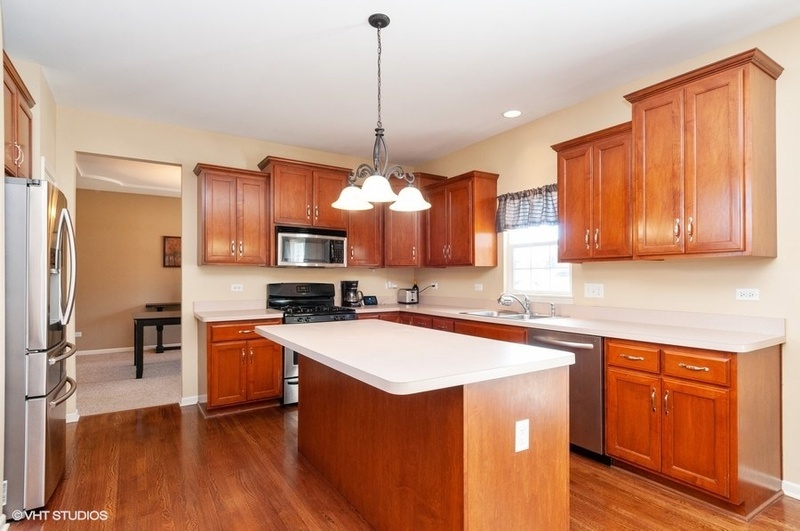 The open floor plan offers 9’+ ceilings throughout the main level. Highlighted by the gourmet kitchen with all SS appliances, large island, hardwood floor, 42″ wood cabinets and tons of counter space. The kitchen and eating area open into the massive family room with 10′ ceiling and wonderful picture window to the oversized private backyard. The main level also features a dining room and living room for easy entertainment and a private office with french doors. 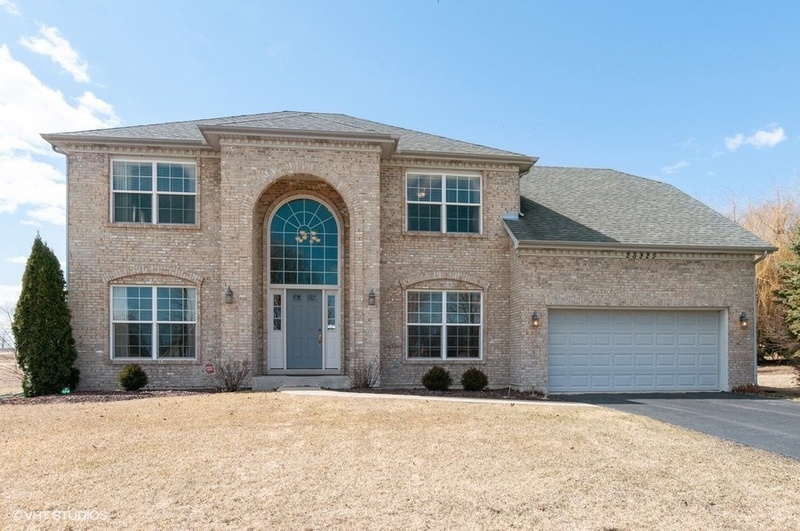 5 bedrooms upstairs with a master suite with 2 walk in closets and luxury private bathroom with dual vanities, a Jacuzzi tub and separate shower. 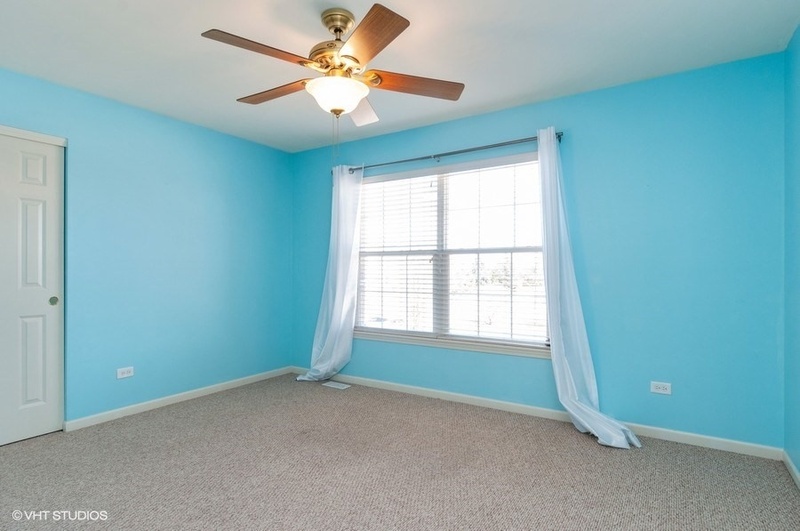 Bedrooms 2, 3 and 4 are all good sized with ceiling fans and ample closet space. 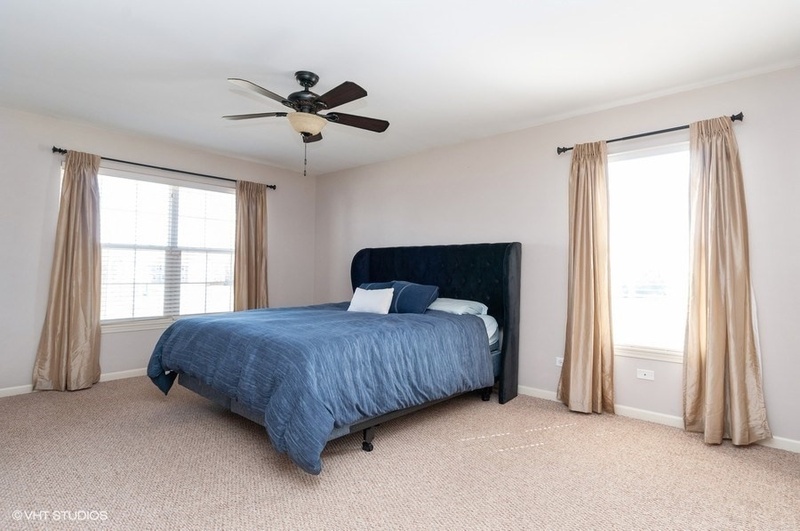 Bedroom 5 offers a vaulted ceiling and could easily be a rec room if desired. 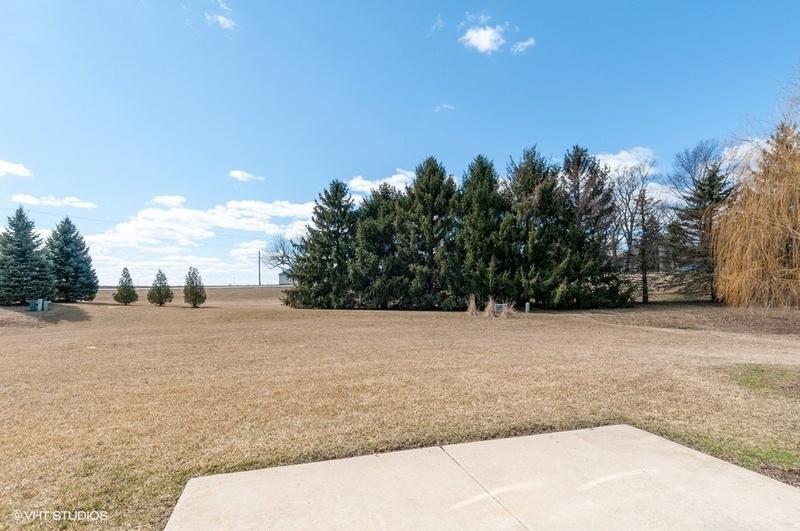 Professionally landscaped yard offers a feeling of serenity. 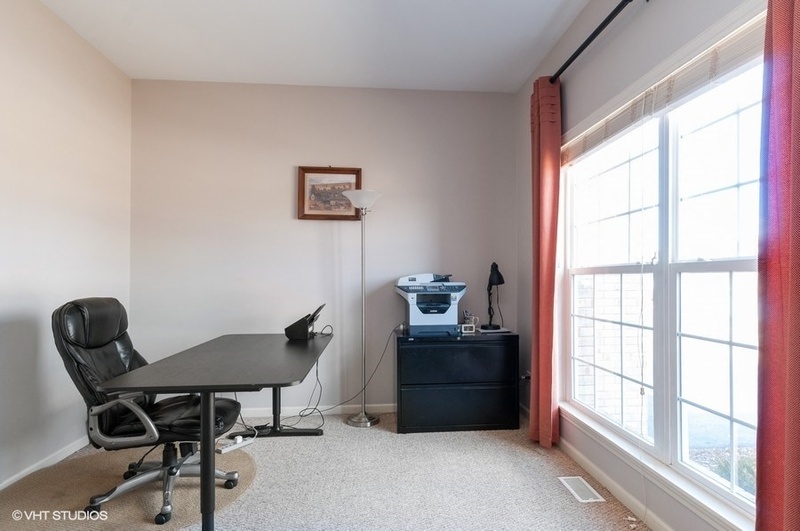 Large and clean basement provides great potential. 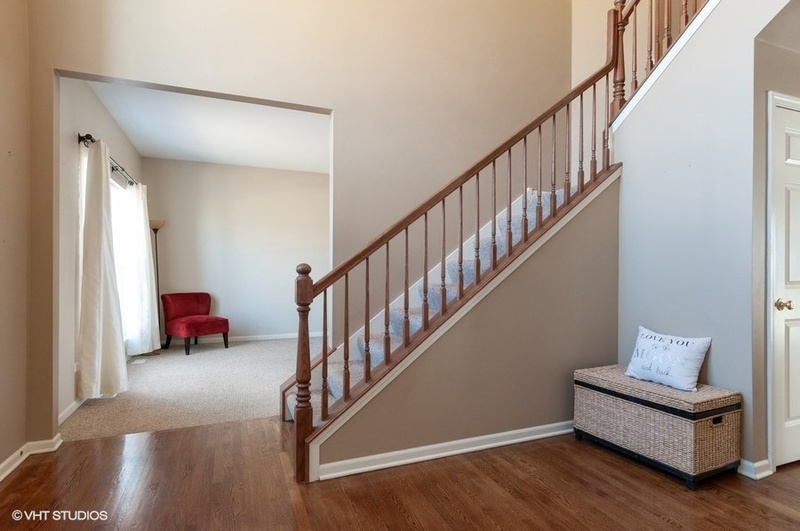 Enter this beautiful home into the 2 story foyer with gleaming hardwood floors and open floor plan. 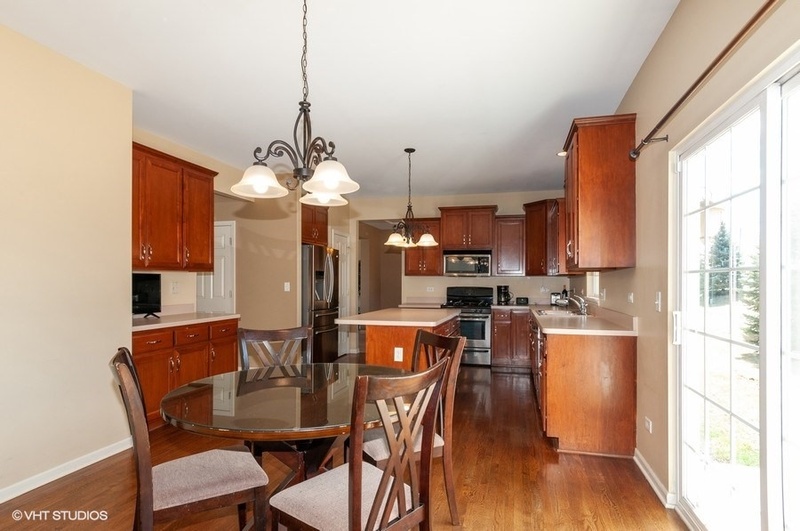 Gourmet kitchen with 9′ ceiling, hardwood floor, large island, 42″ wood cabinets, all SS appliances and lots of counter space. Tons of sunlight through the sliding glass door from the backyard. Open space into the massive family room. 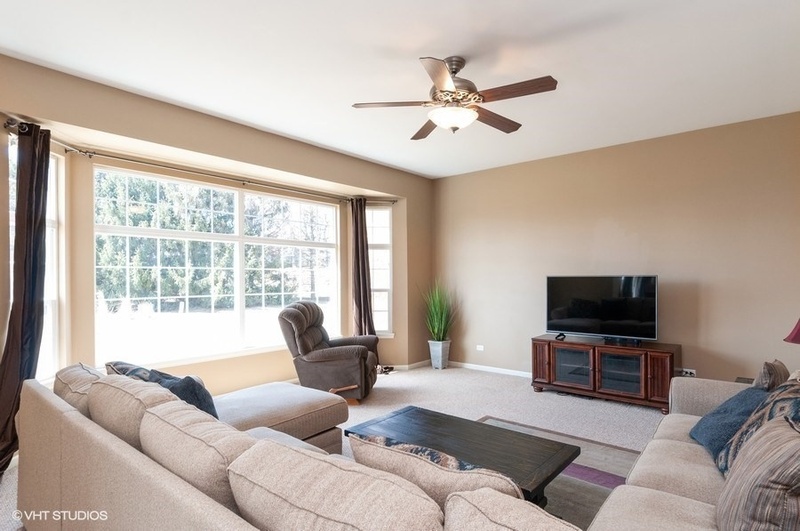 Plenty of space for the whole family in this great room. 10′ ceiling and lots of light from the backyard. 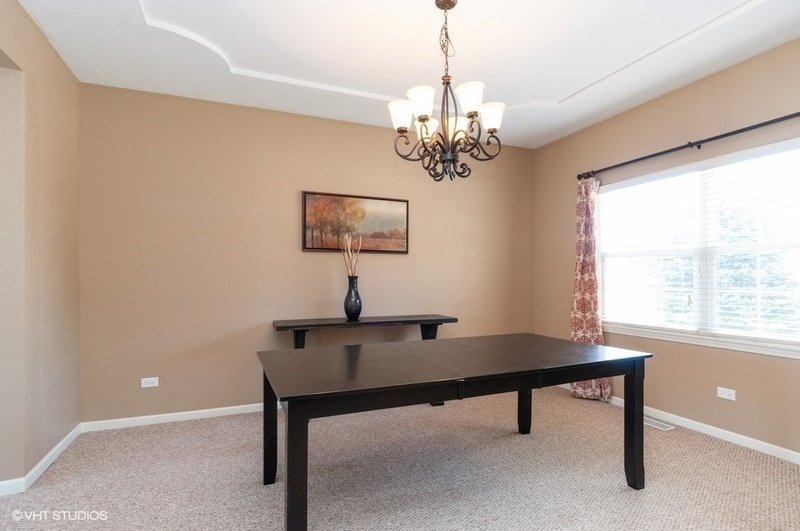 Adjacent to the kitchen and living room, making entertaining a pleasure, the dining room is accented beautifully by the tray ceiling. 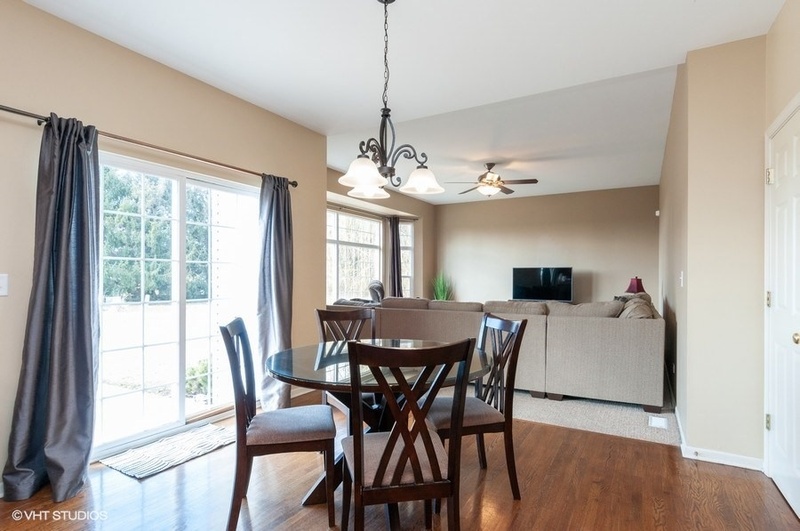 Good sized entertaining space with 9′ ceiling. Powder room on the main level. 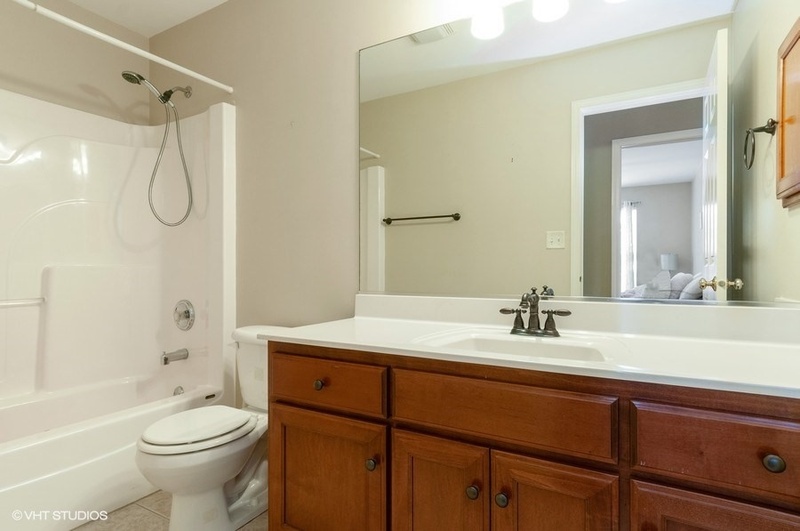 Sizable master suite with 2 walk in closets and private bathroom. 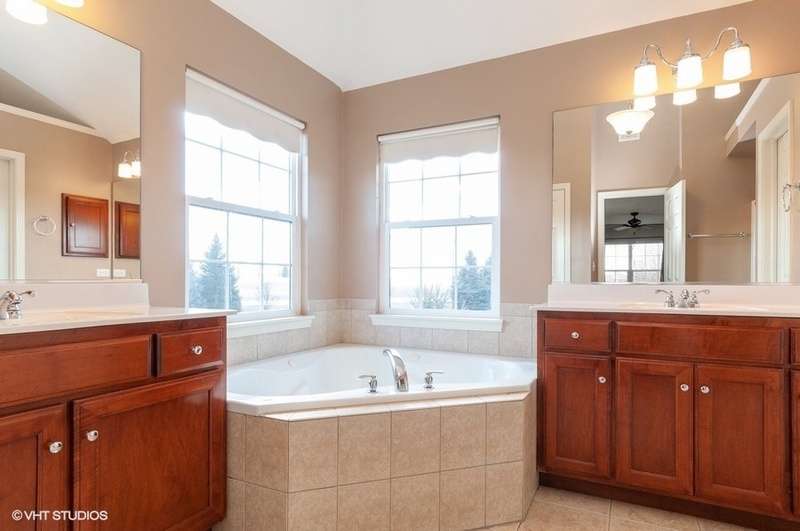 Luxury master bath with dual vanities, Jacuzzi tub, separate shower and private water closet. Plenty of space and good closet space – backyard view. 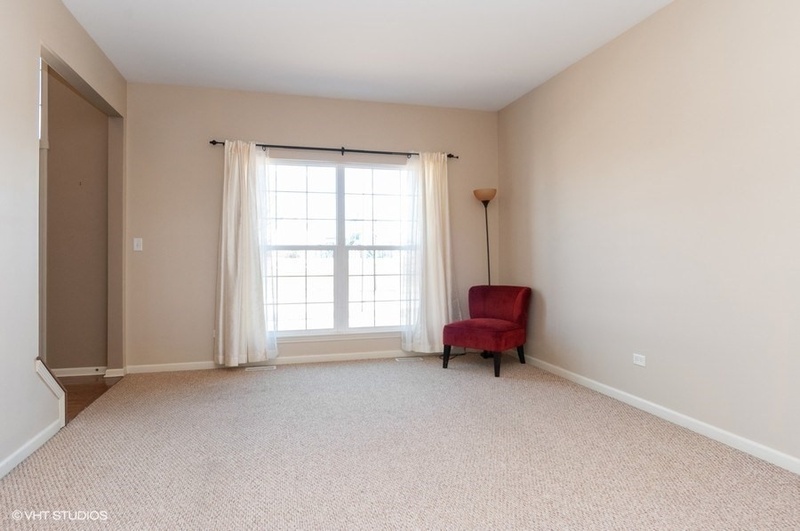 Plenty of space and good closet space – this room overlooks the front yard and playground across the street. 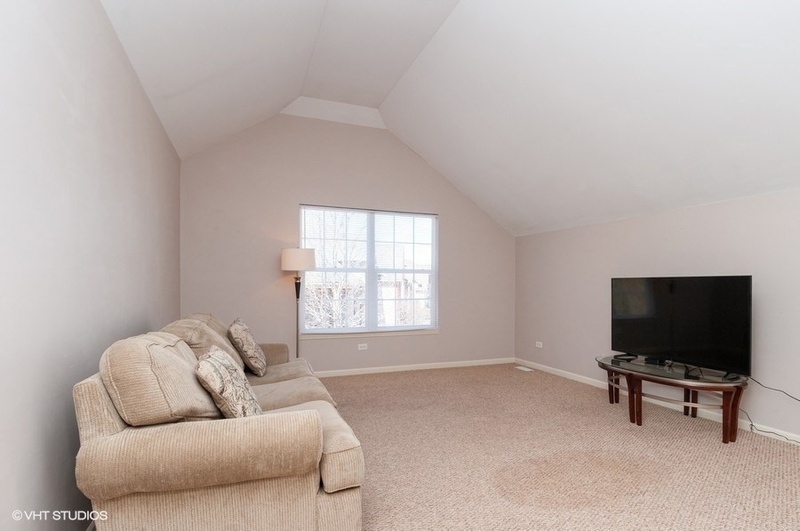 Great flexibility with this space for a 5th upstairs bedroom or rec room – note the vaulted ceiling. 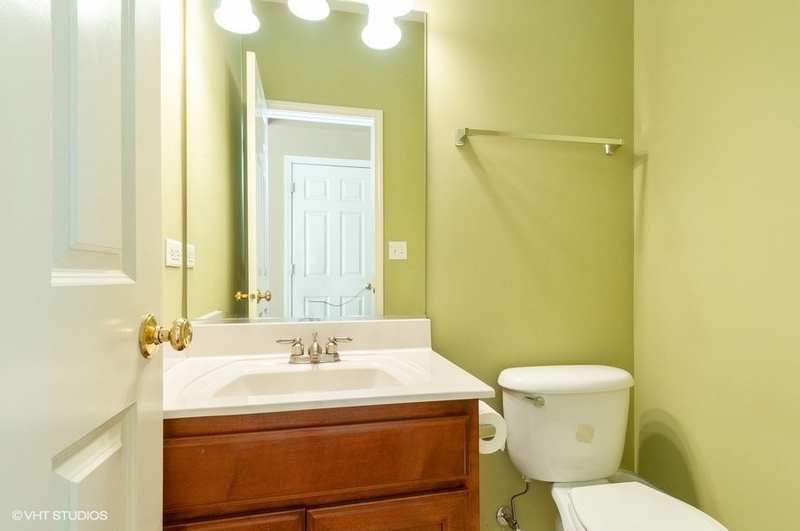 Full bathroom on the 2nd floor with 2 vanities and nice shower & tub. Well maintained and private yard with brick patio which will make it great for summer get togethers. 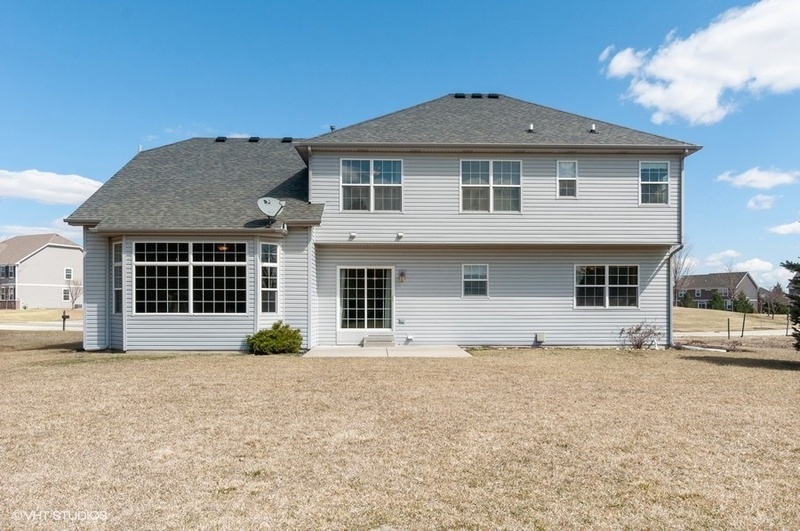 Plenty of room in the backyard for the kids and pets to run around.